You should know by now I love my dogs: the huntaway Bo, the pig-dogs Bonnie and Clyde, and good ol’ Pep even though he has been gone for many years. And I am affectionately fond of Brian’s dogs: Spy, Manu and the young pups coming on who you have not yet met. You also know I enjoy blogging and making new friends across the globe. So this is what happens when the two loves collide ………. Meet Jessie from Meanwhile, Back at the Ranch . Jessie is a talented writer who shares her farm in North Dakota, USA with her many fans. 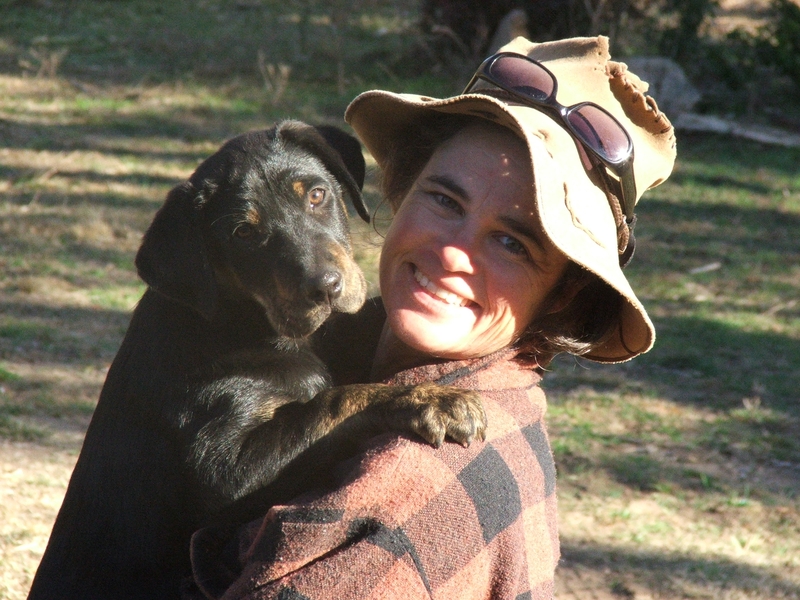 It is one of those blogs where you feel at home, one where you know the names of the dogs, one that has lots of snow this time of year to make you appreciate a mild summer in Australia. Not only is Jessie a talented writer but she is also a talented musician and when she called for photos of girls and their dogs to feature in a music video – well Bo and I put up our hands/paws. And this is the result. It’s pretty cool. And a catchy song. Watch it here on You Tube. Thanks Jessie – it was great to be part of your project. 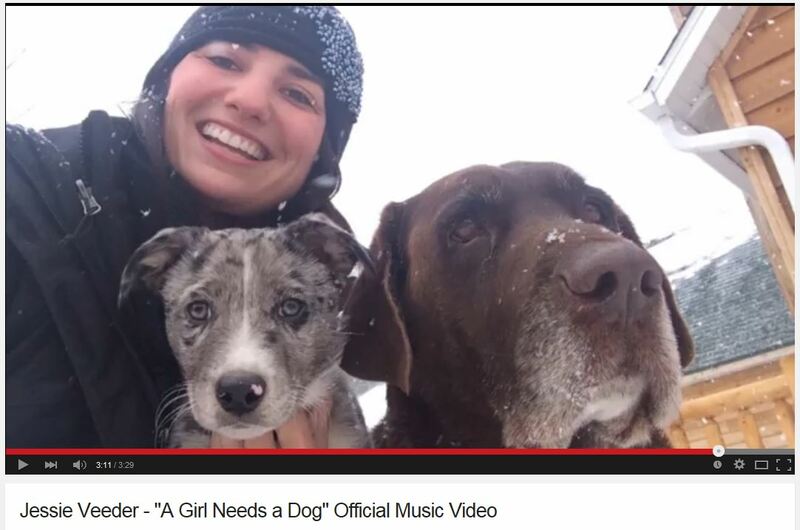 This entry was posted in Random Ramble and tagged dogs in music, farm dogs, Girl needs a dog, girls and dogs, Jessie Veeder. Bookmark the permalink. That is a nice photo of you and Bo! I had watched the video earlier on her site and saw your photo go by. Good song by Jessie too. Girls definitely need dogs, preferably a whole pack of them 🙂 Great to see all the lovely photos in the video too. Well we do have a whole pack of them and when they decide to “sing” it gets mighty noisy! What a fun video, congratulations. And, your Cast of Character descriptions are such a hoot! Keep an eye on the Cast of Characters list – there may be an update coming soon!